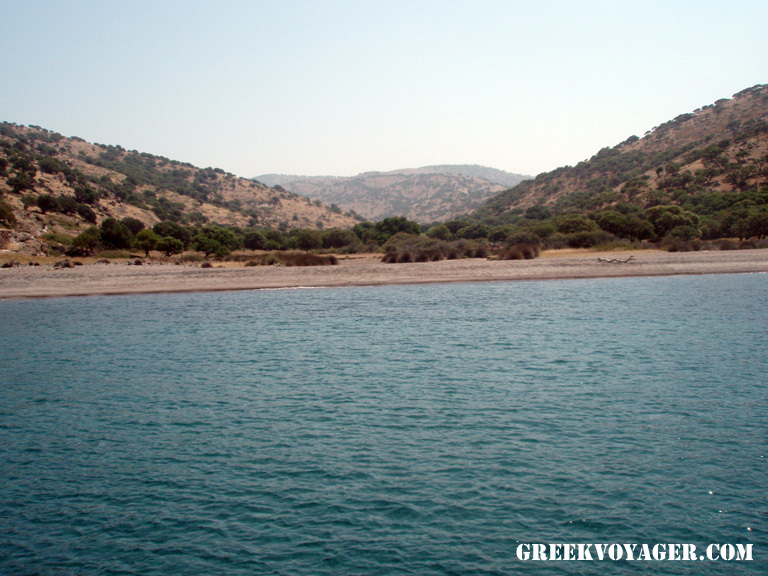 A trip outside of Lemnos. 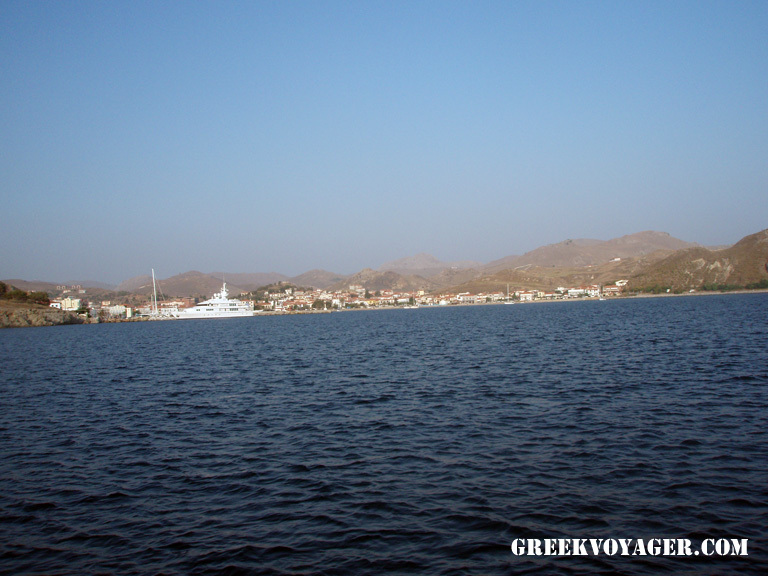 Agios Efstratios, the small island south of Lemnos, a sole companion in this corner of the North Aegean. 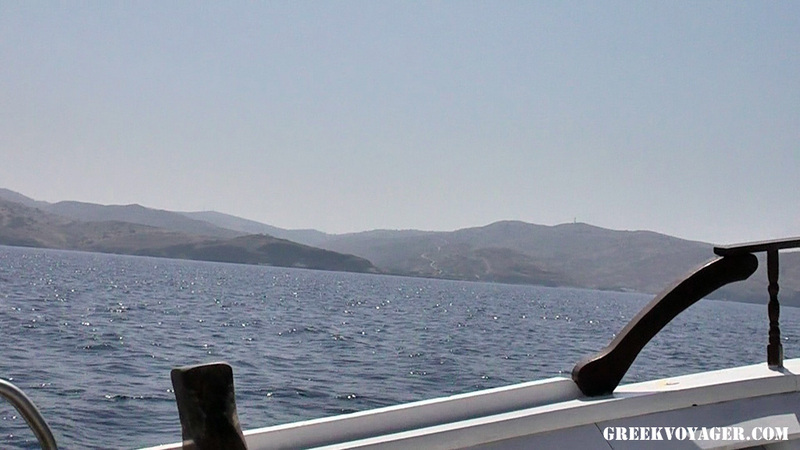 Aghios Efstratios or Ai Stratis or Agiostratis, as commonly called in those seas, connects with Lemnos with regular service from Lavrion port in Athens area and vice versa from Kavala port in East Macedonia. There is also a regular connection between the two islands with "Aeolis", an old icebreaker with towering bow, a ferry boat now. Of course, weather permitting. Here the winds when they catch the frenzy, are no joke. There are few times that Ai Stratis is forgotten, especially in winter. Lives, however, reconciled with the sea. What else can do different? 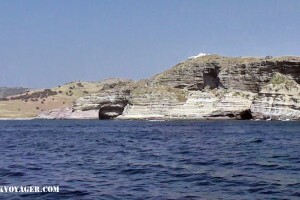 Is the most isolated island in the Aegean. 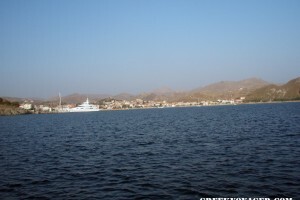 It is, from Limnos. 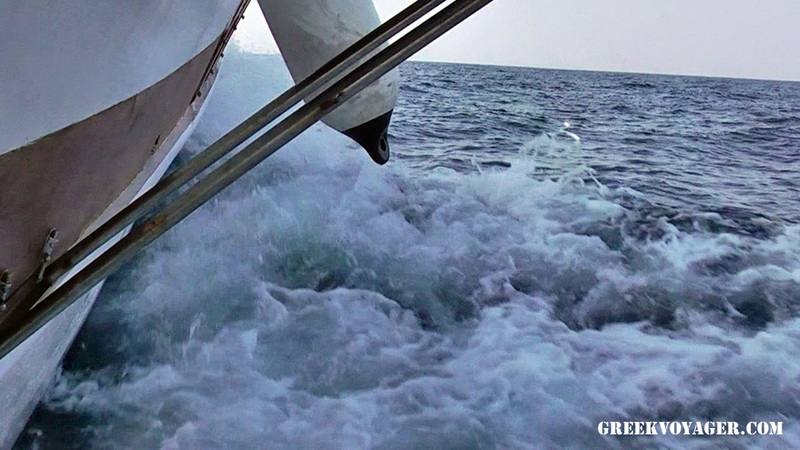 18 nautical miles, by the end of Halkidiki peninsula 48 from north to the south, 38 from Skyros and 42 nautical miles from Lesvos southeast. Morning, eight o'clock, past eight, Myrina. In the harbor. Not at the right side, where big shipscatch, but in the center where is the port for small vessels. There is third way to visit the Ai Stratis. During the summer months a boat leaves almost every morning at nine with tourists who want to learn more for the little island and return before sunset. We go. The journey is charming. You must love the sea, of course. The north wind at our back, ally to the south. Few Beaufort and waves sparkle in the sun. Water currents forming rivers to the sea. 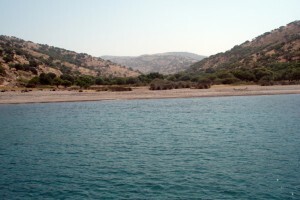 Aghios Efstratios is an area of ​​43 sq km. 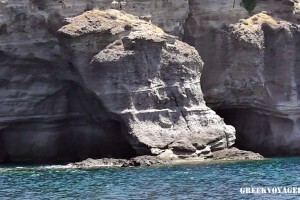 Its shape resembles an uneven triangle with the longest side of the west. The length is 12 km and width of 7 km. The length of the coast 30 km. The beaches in most places, especially on the east side is rocky. Bays with small, but beautiful beaches are on the west side. The territory is mountainous and of volcanic nature. A ridge is formed from north to south with the highest peak in the 298 meters mark. Hillsides are falling. 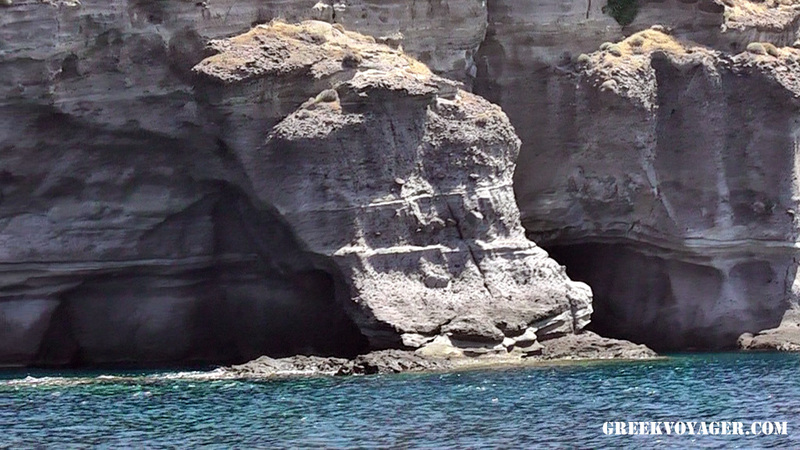 Steeper in the east, leaving space for small valleys leading to picturesque coves with small beaches in the west. In the culmination of a valley stands the unique town and harbor. 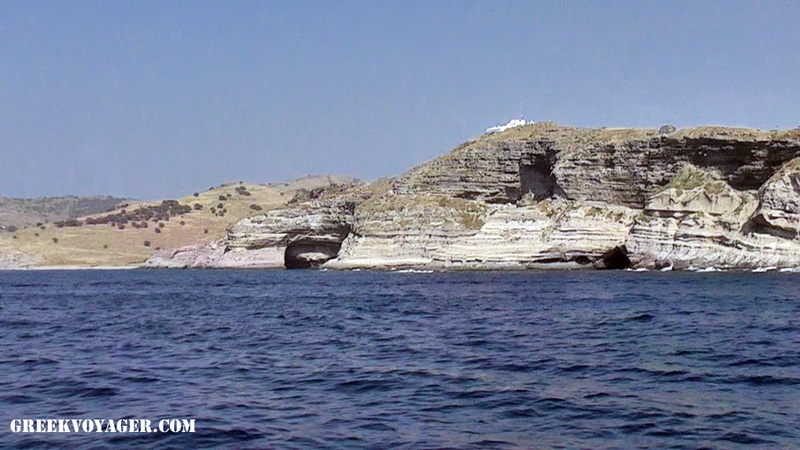 It is also called Agios Efstratios. 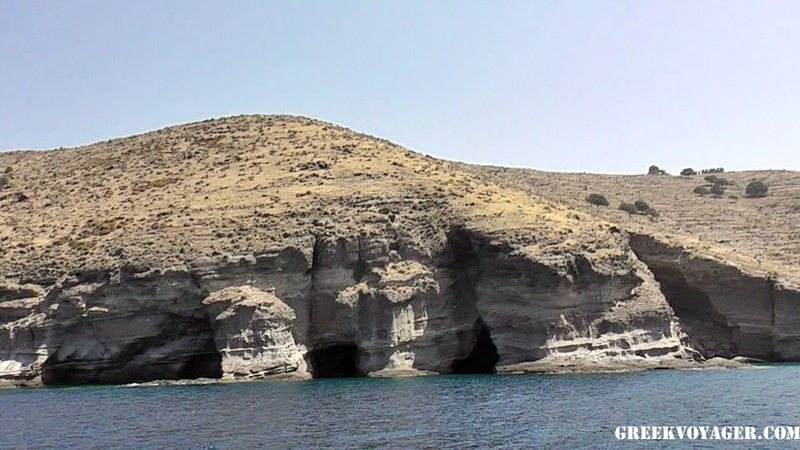 The island in the past has received various names. 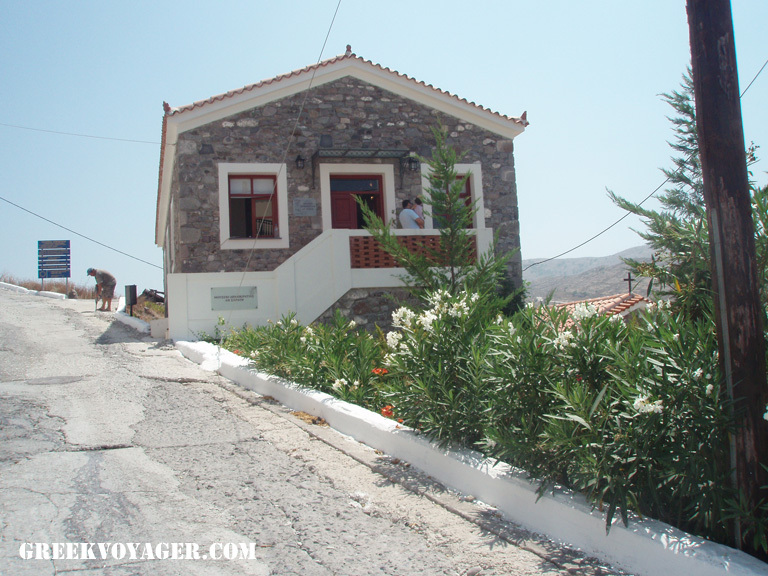 Chrysi, Iera and more.The present name is due to a monk who has lived alone here in the 19th century. 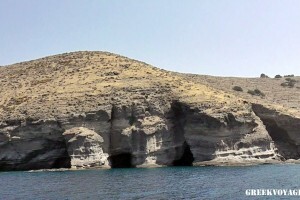 Before that Aghios Efstratios have suffered the consequences against pirates. The 16th century passes without the residents. 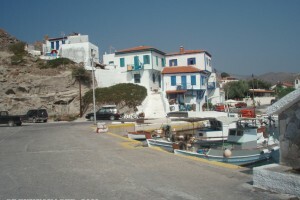 In times of political crises in the 20th century the island was used as an exile society and leftist opponents of the regime in power. 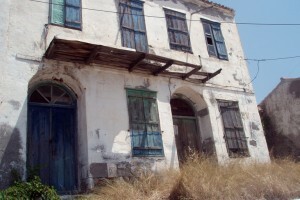 Here they have lived in exile, including the poets Yannis Ritsos and Tassos Livaditis and actor Manos Katrakis. 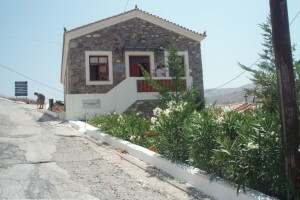 The evolution of the population is a typical evolution of life on the island. In 1928 has 786 inhabitants, 1940 1131, 1951 3849, 1961 1061, 1971 422, 1981 296, 1991 286 and 2001 376. The fate of the island was hard in 1968. On February 19 convulsed by an earthquake 7.1 Richter scale, leaving twenty dead and destruction. 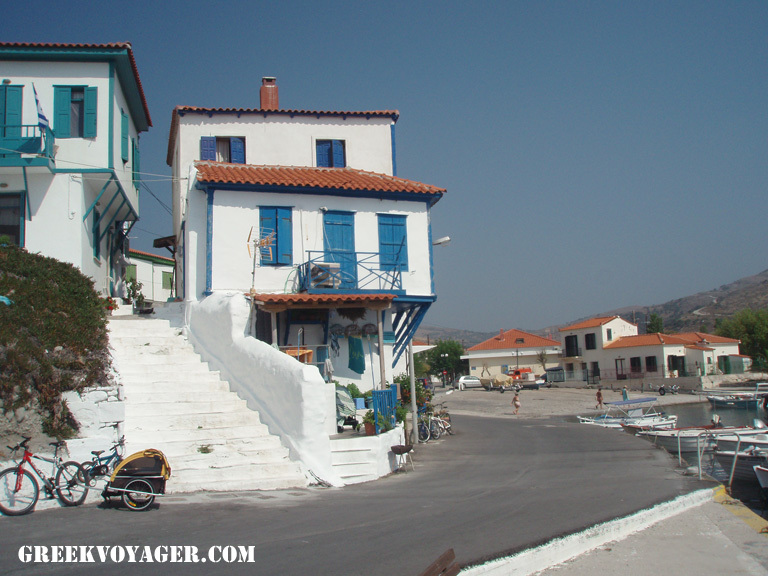 The village, situated at the top of a small hill, windmills destroyed, the Aegean architecture of houses was lost and the people resume their lives near the beach. 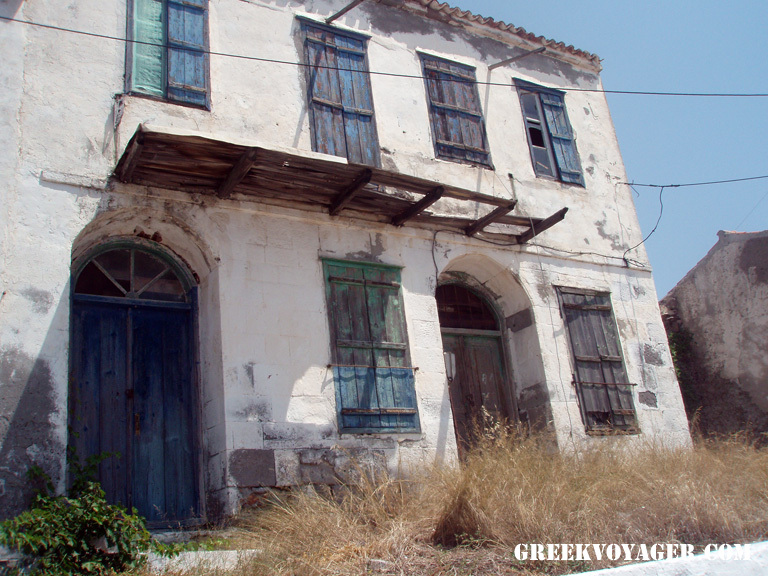 Agios Efstratios is again dramatically in the spotlight of history on June 18, 1992. This day the first lieutenant Nikos Sialmas crashes, with his Mirage F1 jet fighter, to Cape Tripiti the south side of Ai Stratis while engaging a Turkish F16. The undeclared war in the Aegean. 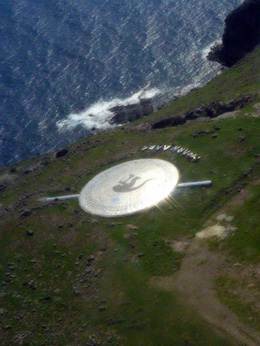 On the side of the cape a huge metal shield with the historical "molon lave ' (come a get them) is placed as a monument. Passing colleagues who fly with their fighters over the shield paying tribute and salute, shaking the wings of their airplanes. The boat passes the northwest cape and sails the west coast. Passes the harbor and stops in a nice bay. Those who want, dive into the crystal waters, some swimming up the coast. Is the usual way to go to the beaches. From the sea. Otherwise, on foot or by jeep. There are many cars and tracks serving the agricultural work. There are no taxis. When everboyde return, the boat go to the boat harbor. Sweet, calm atmosphere, welcoming mood. Lunch in one of two restaurants. 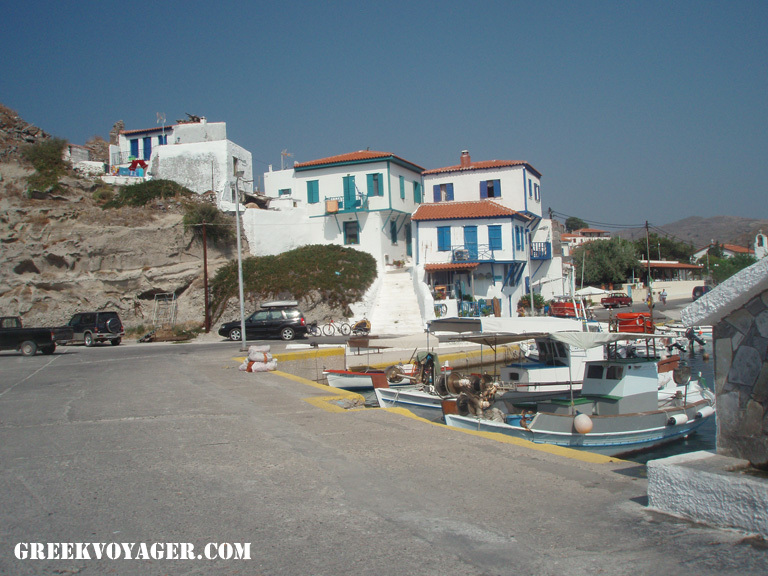 Fresh lobsters - a trademark of the island - fish, local food, local cheese. Of the three hundred people most are involved in fishing and farming. On small farms in the nearby hills oaks produced excellent cheese. After lunch, coffee or drink in one of two nice bars. Then a tour of the village. 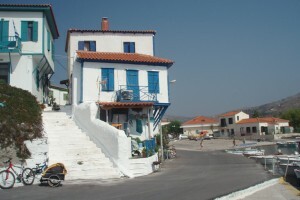 The houses lie to the left of the port. There are rentals. We pass the square and in one of the last houses we are in front of the museum that evokes the lives of political exiles. On the ground floor memorabilia and historical material in the basement an idea of ​​the cruel fate of the sick treated in stone beds. We turn back, to the harbor. We do not have much time at our disposal. The boat leaves from here around the three. 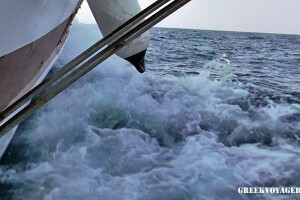 The return trip usually takes an hour more, because it usually blows north wind. And the north wind now against the course.